The Library will be closed on Friday, April 19th in observance of Good Friday. Bring your works in progress and supplies (no turpentine, please!) to this drop-in art program. This is an opportunity to create in a collaborative environment with other artists. Beginning April 23rd, to log in to your account online, you will be required to enter your library card number and a PIN. Your last name will no longer be required. The PIN will help prevent use of your identification and borrowing information without your knowledge or approval. We can help you get the books and videos you want by placing a hold, taking a purchase request, or creating custom reading lists with MatchBook. 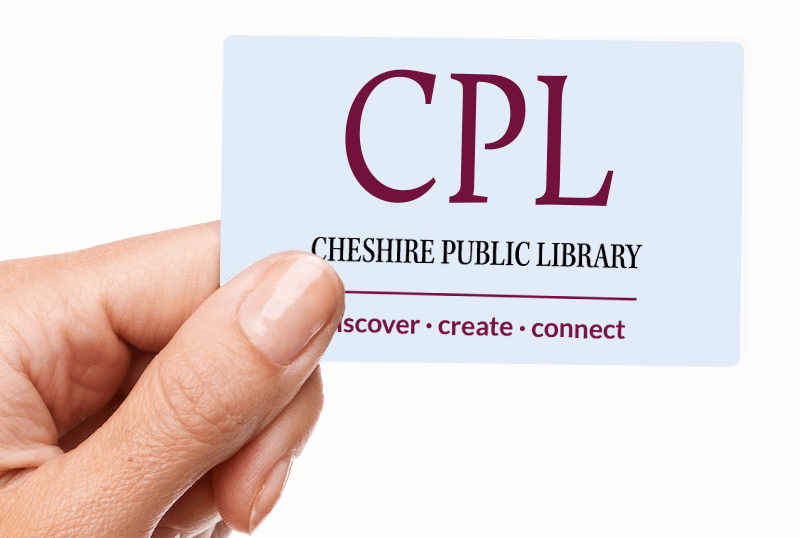 With a Cheshire Library card, Cheshire residents have access to free books, movies, music, downloadables, and more. Bring your photo I.D. to the library and get your card today! Since 1887, the Friends of the Cheshire Public Library have worked to meet the needs of the Library. Their hard work funds programs, equipment, services, and more. We'll keep you up-to-date with library events and services.